Our Potassium Hydroxide, sometimes called potash or lye, is food grade. It is commonly used to made high quality, handmade liquid soap. Our Sodium Hydroxide, sometimes called lye, is food grade. It is commonly used to make high quality, handmade soap. Highest quality produced which makes top quality soap. 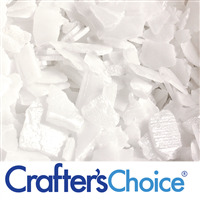 Many People choose to use these flakes because they claim they produce less static!